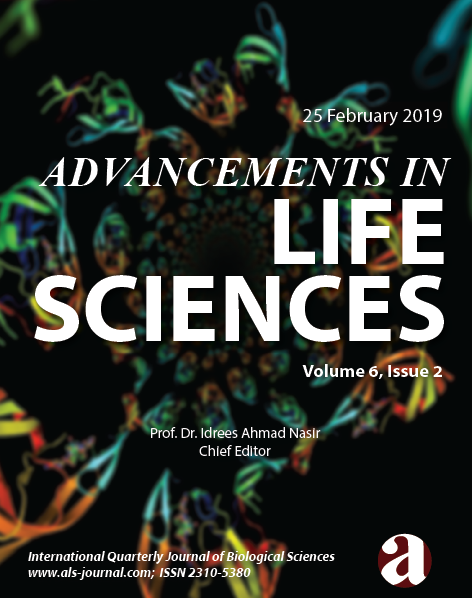 Advancements in Life Sciences has got indexed for coverage in the Thomson Reuters: Emerging Sources Citation Index, which is the New Edition of the Web of Science. This means that any articles published in the journal will be indexed in the Web of Science at the time of publication. Determination of post mortem interval is done with various methods depending upon the condition of the dead body and the circumstances in which it is found. Ruling out foul play in unnatural deaths has been an enigma of a sort for forensic pathologists and scientists all over the world. The methods to determine the cause and manner of death keep on emerging with ongoing researches in the fields of forensic sciences. Many methods have been devised to determine cause, manner and specifically time since death. Forensic entomology is one such field that aids in determination of time since death, especially in putrefied corpses found in different habitats in mysterious unknown circumstances. The field keeps on emerging with the advent of new techniques on molecular level, including DNA analysis and identification based on entomological data that has diversified over the years. The standards and guidelines for entomological data collection and processing needed for implication on the crime scene must be revised now and again for assistance of crime scene investigators, scientists, entomologists and pathologists. Various factors must be considered while processing entomological data that affect post mortem intervals. The keen study of life cycles, groups of similar insects, valid and standard methods of insect collection, breeding and identification can give a lead on cause, manner, time, place and circumstances of unknown or unnatural deaths. Cryptosporidiosis is an emerging food and water borne zoonotic disease, which is caused by genusCryptosporidium. The first Cryptosporidium spp. was isolated from mice in 1907 and gained importance when it was found in an HIV positive patient. It usually causes self-limiting diarrhea in young children and immunocompetent patients. However, it may lead to chronic diarrhea with life threatening condition in immunocompromised patients. Other complications related to this transmittable infection may include respiratory problems, skin rashes and headache. HIV/AIDS patients are highly susceptible host for this parasite. Cryptosporidium parvum and Cryptosporidium hominis are the known pathogenic species, prevalent among humans and they are being transmitted through contaminated food and water. Usually, the diagnosis of Cryptosporidium spp. is dependent on microscopic technique in many countries, which has a low sensitivity and specificity leading to false positive results. 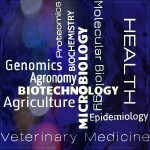 However, for a step forward to successful epidemiological studies, advanced techniques (Serological and DNA-based) provide us the better ways of diagnosis with more sensitivity and specificity. Furthermore, no antiparasitic drug has found to be effective againstCryptosporidium spp. except Nitazoxanide which is FDA-approved and effective only when administered along with antiretroviral therapy. In this regard, present review summarizes the various epidemiological studies conducted around the globe along with modern diagnostic tools and the suitable treatment available now a days. This systemized review will help the scientists to better understand all the aspects of cryptosporidiosis at one platform which may help in designing surveillance studies through selection of sensitive diagnostic techniques. The new drugs mentioned in this review may also help to better control this parasite in humans, especially immunocompromised individuals. Background: In the third era of ancient DNA field, it has endured the mesmerising modifications, which should be revealed. From side to side period, analysis of mitochondrial DNA permits to determine the evolutionary relationship among the species, to expose the terrestrial roots of the entities, to standardise the molecular clocks and to study the demographic pasts. Methods: In the current study we used bioinformatics tools for prediction of mitochondrial haplogroups and phylogenetic analysis. The ancient complete mitochondrial genomes were retrieved from online resources and were further used for phylogenetic analysis to know the evolutionary position of the ancient populations lived thousands of years ago. Results: We aligned 46 ancient genomes, collected online and estimated trees by using neighbour-joining, maximum parsimony and maximum-likelihood. Support for nodes was assessed with bootstrap replicates. During our analysis a strong bond between genomes of Altai Neanderthal, Motala 12, Motala 1, Loschbour, Ust'-Ishim, LBK, Mezmaiskaya Neanderthal, Denisova, RISE391(ERR844272), Clovis Anzick-1, RISE395(ERR844275) and RISE210(ERR844262) were found. In this context these ancient samples recommended the presence of a mutual earliest genomic signature. Conclusion: A significant population immigrations and alternates, accountable for influencing main parts of current demographic structure together in Europe and Asia is supported by the Bot15 (ERR668415) and RISE family. In the initial bronze period, ancestral similarity among these populations also share the theorised blow-out of Indo-European languages. Mechanisms of pathogen development and alteration for evolving and reappearing toxicities is also explained by this study. We aim that this study will help researchers in understanding the evolutionary position of ancient populations resided around the world. Background: Brown leaf spot (BLS) caused by Bipolaris oryzae (Breda de Haan) Shoemaker, is a chronic disease of rice that infects millions of hectares worldwide each year. In this study, a total of 18 rice growing districts of Punjab, Pakistan were surveyed during cropping season in 2014-17 for the incidence of BLS disease. Methods: The survey method was used to gather the data of BLS incidence during 2014-2017 in 18 districts of rice growing areas of Punjab, Pakistan. Meteorological data was collected from the weather stations of each surveyed district and co-related with BLS incidence. Results: The findings of the study revealed that quantitative relationship exists between meteorological variables and BLS incidence. The incidence of disease in the field was at peak during the month of October. The disease incidence varied from 1.12% to 14.37% over a period of study i.e. from 2014-2017. However, the role of relative humidity (RH) was highly positively correlated with the incidence of disease. Relative humidity showed a positive correlation with the incidence of disease as indicated by the year in which it was towards the high values. The highest disease incidence was observed in district Sargodha whereas the minimum in district Okara. The highest incidence of BLS disease was found in variety Basmati Super (51.43%) and the minimum in Basmati 386 (6.57%). Conclusion: Our study revealed that the fluctuations in temperature did not depict an appreciable impact on the incidence of BLS as indicated by the statistical coefficient, whereas RH strongly influenced the incidence of BLS incidence. Background: Enhanced production and improved properties of cellulases for a greater activity on plant biomass would rank amongst the top priorities for second-generation ethanol production. Based on the emergence of protein engineering as a cutting-edge technology for enhancing enzyme activity and expression level, the present study is aimed at the application of this technique to the major cellulosomal processing endoglucanase of C. thermocellum, CelR for refining enzyme characteristics. Methods: The full-length native enzyme gene (CelR) and a truncated version without the docking domains at C-terminus (CelR-CB) were PCR amplified using gene specific primers. 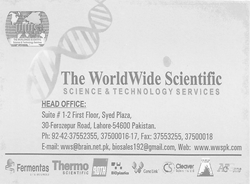 The amplified PCR products were T/A cloned in the vector pTZ57 R/T and transformed in E. coli DH5α. The cellulase genes from the confirmed transformed plasmids were sub-cloned in T7 promoter-based expression vector pET-28a and expression analysis was done in E. coli (DE3) BL21 codon Plus. Results: An SDS PAGE analysis of both the CelR derivatives revealed that the truncated version i.e. CelR-CB showed a two-fold increase in expression level as compared to the full-length enzyme. Conclusion: The increased expression level of CelR in E. coli coupled with its increased production therefore makes it a promising method for augmenting the recombinant enzyme production for potential applications. Enter your email address to subscribe to "als" and receive notifications of new posts by email.